Linkedface++ is a face recognition platform that allow software producers create face recognition application without knowledge on AI, computer vision. Father more, by using Linkedface++ platform, software owners do not require to build user community, and user face data. 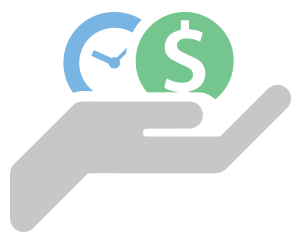 Services from Linkedface++ is completely free, so that producers can save a lot of cost and time, have a higher opportunity to get success in their business. Using Linkedface++ is free. 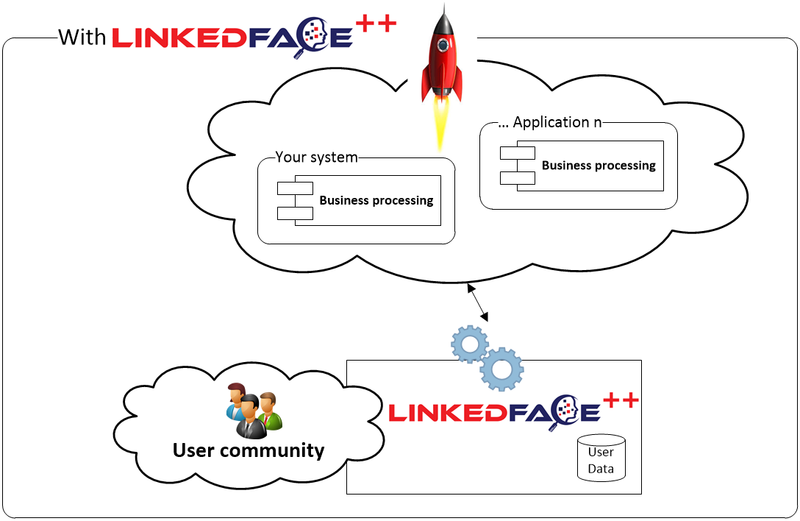 With Linkedface++ platform, making face application has never been easier. We compare two scenarios that build face recognition application, one without Linkedface++ and other using Linkedface++. In both phases, producing software and running system, you have to do a lot of work, take a lot of effort. You have to make Face engine: face detection, face recognition, storing face data. During runtime, you have to maintain a huge system, and especially build a user community that usually take a lot of effort. With this model, you only have to focus on your business during both processes: producing and running software. You’ll have a lot of effort for your business and get a higher opportunity to be successful. User creates an account in Linkedface system, and then provide information (include face images and profile) that’s ready for sharing to applications. 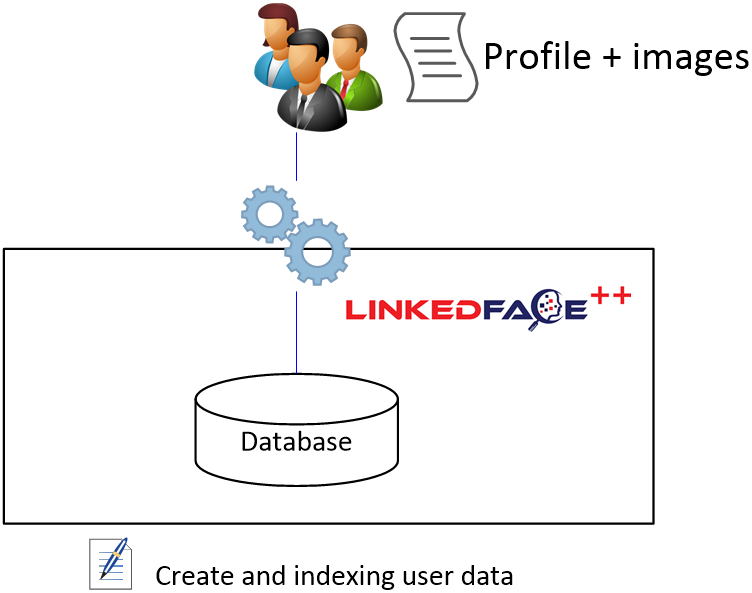 Linkedface++ will index user data and make it available for applications. 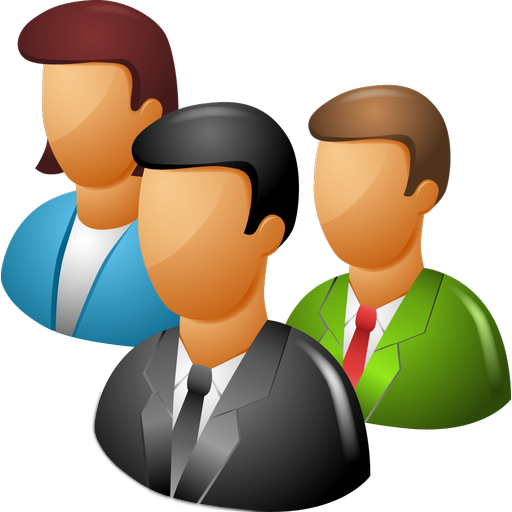 In this phase, if user sharing profile to a third party application, this application can search user through profile images, and access user profile. Third party software producers do not need to make face recognition module. It’s available in Linkedface++ for you to use. With API and parameters, you can control the face processing much more than you expect. 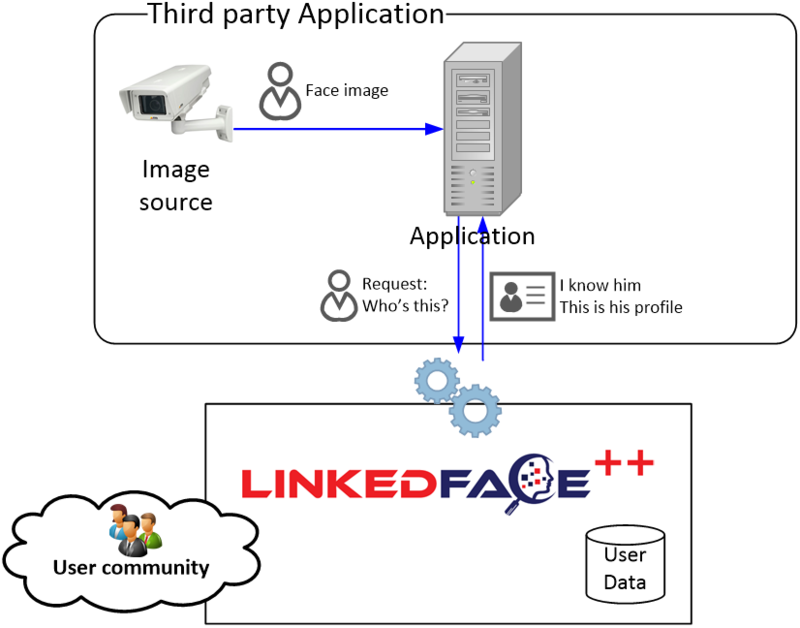 Linkedface++ has already collected user data and face images, indexed data and make them available and ready for third party applications. During running time, the huge effort of building user community for you application is nearly eliminated. 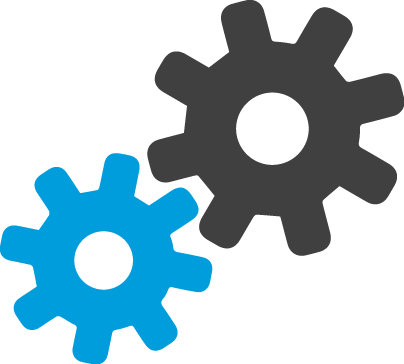 Software producers don’t take time in making face processing module or boot up user community, so that they can save both time and cost. They only need to focus on their business logic, go forward with user community of Linkedface++, and finally jump to success.